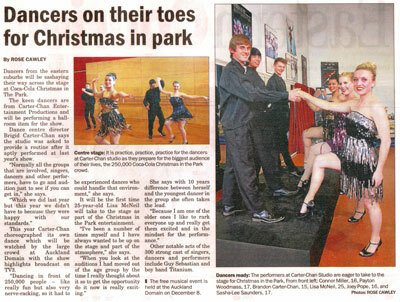 The Carter-Chan Dance Performance Centre's reputation as a professional and innovative dance organisation has resulted in numerous requests for its groups to perform not only in the Auckland region but throughout the country, including many appearances on national television. 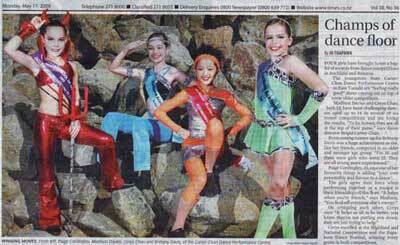 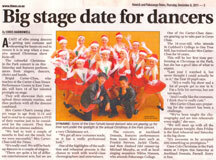 It has also hosted a number of dance groups from overseas, including Japan, Canada and the USA. 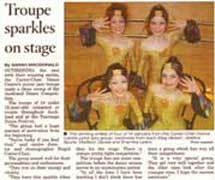 The Centre's tutors are often in demand as adjudicators at dance competitions, presenters at dance seminars and choreographers for shows. 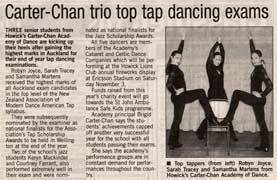 The very high standard of training that the Centre provides has enabled many former students to further their dancing career at tertiary institutions and dance companies or by establishing their own dance schools. 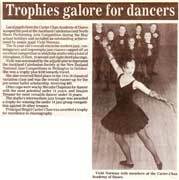 The Centre has a long history of dance competition success with students consistently winning numerous awards and trophies over the past 26 years. 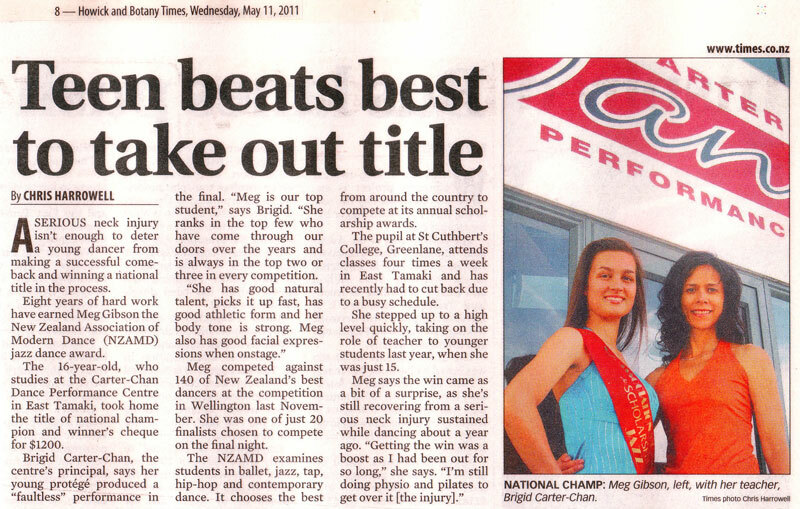 The Dance Centre is a multiple winner of the Top Auckland Jazz & Hip Hop Dance Studio Award at the Auckland Caledonian Dance Festival, the largest and most prestigious dance competition in Auckland which annually attracts over 2,500 competitors from throughout New Zealand and Australia. 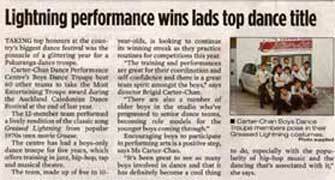 To win this title, a dance studio must have the greatest number of successful competitors at the competition. 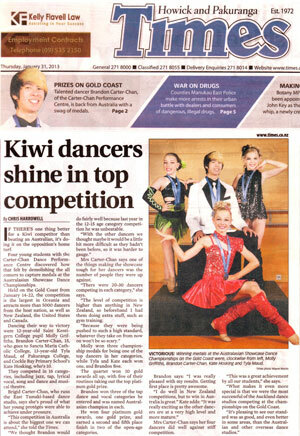 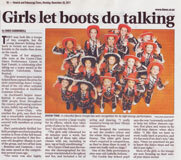 As a result of their numerous successes, more than fifty newspaper and magazine articles have been written about the Dance Centre's achievements in local, national and international media.